Nutritional Frontiers researches, develops and manufactures synergistic nutritional formulations that provide comprehensive natural solutions for wellness. Their dedicated team of professionals includes a medical doctor, naturopathic physician, chiropractor, nutritional consultant, sports medicine specialist, life style educator, clinicians, biochemists and a Ph.D. specializing in nutritional research and product development. Together they provide a multi-disciplinary approach to creating science-based formulations centered on cutting edge research and a natural approach to healing. All formulas contain bioactive ingredients and are designed for therapeutic dosing with delivery options that maximize compliance, absorption and results. 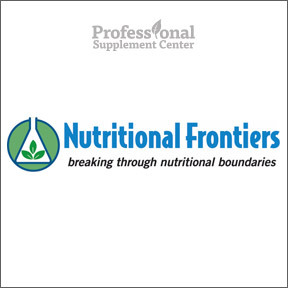 Nutritional Frontiers supplements are manufactured and produced in an FDA compliant cGMP certified facility under the highest quality standards to guarantee identity, purity, potency, composition and adherence to strict label and compliance regulations. All formulas undergo microanalysis for heavy metals, PCBs, dioxins and impurities and are 100% guaranteed for purity and potency. Nutritional Frontiers unique formulations take a patient centered approach to healthcare solutions and are available solely through healthcare professionals. GI Complete – Available in both powder and capsule form, GI complete is designed to support gut health, soothe and maintain the digestive tract, support proper immune function and promote microbial balance, nutrient absorption, and regularity. Naturally flavored with raspberry, strawberry, and pineapple. No artificial colors, preservatives or flavors. Gluten and yeast free, vegetarian formula. Sleep Time – Formulated to promote quality sleep and relieve stress and anxiety, Sleep Time contains nutrients, cofactors and amino acids that assist the body in the manufacture of neurotransmitters dopamine and serotonin, which have a role in sleep cycles and anxiety. Provides sleep, anxiety, stress and mood support. Vegetarian capsules, no added ingredients. 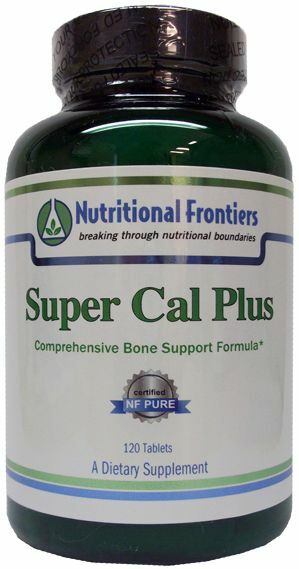 Super Cal Plus – Available in capsules or tablets, Super Cal Plus is designed to help maintain bone strength, function and health. This synergistic formula contains 6 balanced and well researched nutrients that support bone density and the organic or inorganic matrix of bone. Contains D3, K2, microcrystalline calcium hydroxyapatite, magnesium aspartate and minerals. No additional ingredients. Vegetarian capsule. 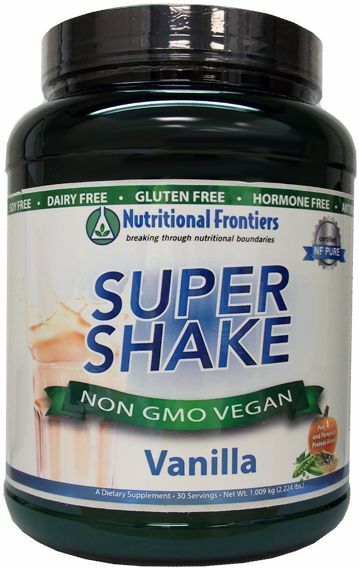 Super Shake – This hypoallergenic, vegetarian, low carb meal replacement formula features pea, rice and pumpkin protein and excludes gluten, dairy and soy. Available in a variety of great tasting flavors, Super Shake mixes easily with your choice of liquid , fruit, or nut butters. Provides 24 g of protein and 3 g of fiber per serving. Flavors include Banana Strawberry, Chocolate, Peanut Butter, Pumpkin Spice, Vanilla, and Naked. This entry was posted in Home and tagged GI Complete, Nutritional Frontiers, Sleep Time, Super Cal Plus, Super Shake. Bookmark the permalink.